with steep rounded sides rising to a flaring rim, the exterior delicately engraved with a leafy boughs of flowering camellia issuing blossoms and tender buds, with a pair of fluttering butterflies and an insect above, the base incised with a four-character mark within a double square. 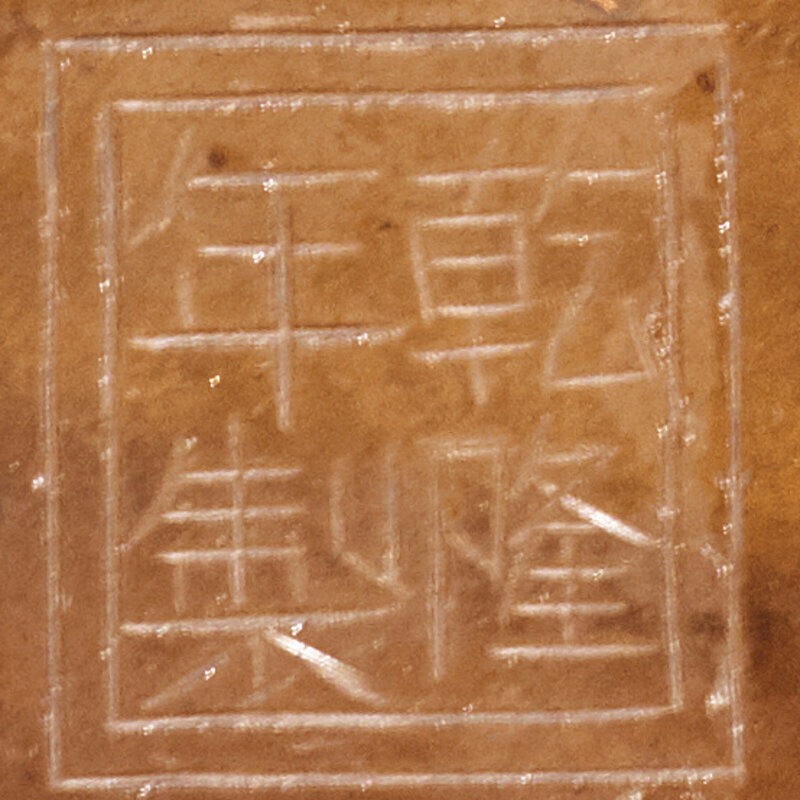 Provenance: Acquired in Macau prior to the 1980s. Note: Examples similarly engraved floral bowls from the Qianlong period are known including: a translucent blue glass bowl from the Plesch Collection sold at Christie's London, 16th November 1998, lot 290; a blue glass bowl with blossoming narcissus sold at Christie's Hong Kong, 27th April 1997, lot 14; and a third sold in our Hong Kong rooms, 14th November 1990, lot 439. 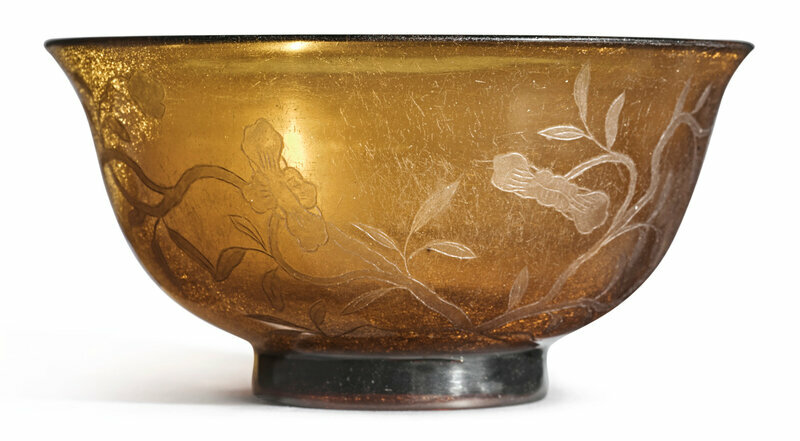 For related amber glass examples with similar engraved designs, see a cup from the Palace Museum, Beijing, illustrated in Luster of Autumn Water, Glass of the Imperial Workshop, Beijing, 2005, pl. 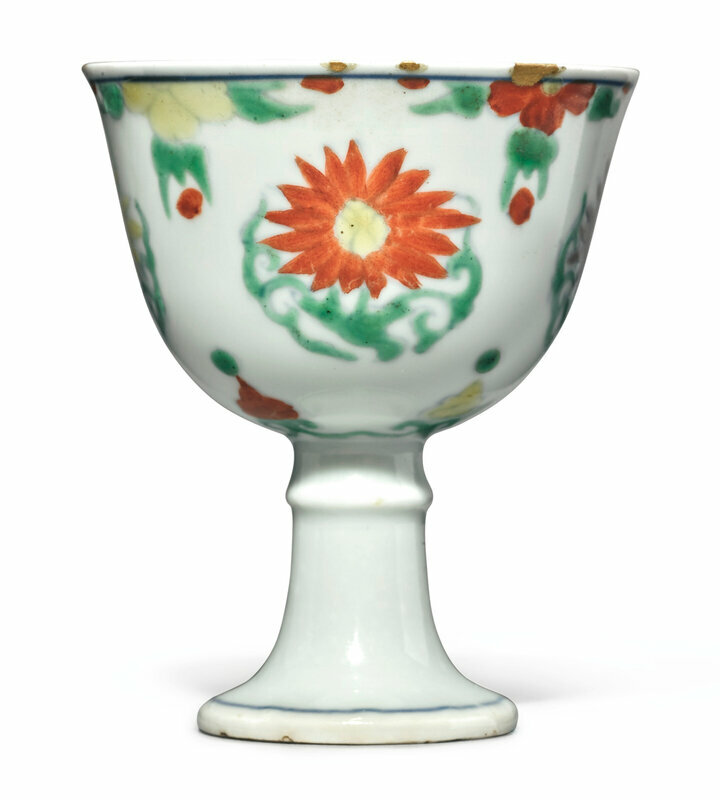 113, and another cup, from the collection of Walter and Phyllis Shorenstein, illustrated in A Chorus of Colors, Chinese Glass From Three American Collections, Asian Art Museum of San Francisco, San Francisco, 1995, cat. no. 32, and later sold at Christie's Hong Kong, 1st December 2006, lot 2916. 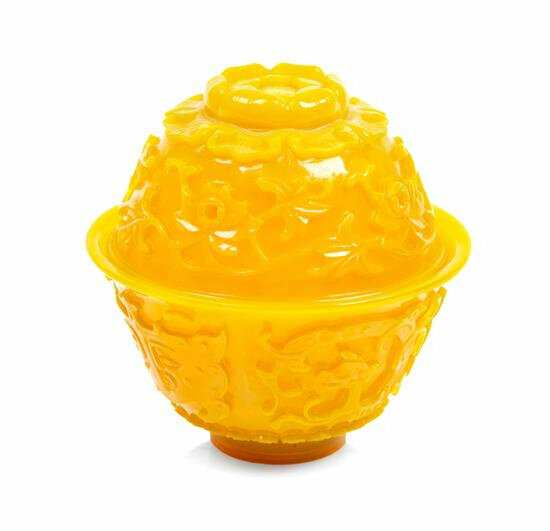 See also a transparent pale yellow glass cup of similar shape engraved in diamond point with lilies and a butterfly, with a Yongzheng mark, in the Andrew K.F. Lee Collection, and illustrated in Elegance and Radiance, The Art Museum, The Chinese University of Hong Kong, Hong Kong, 2000, cat. no. 97.